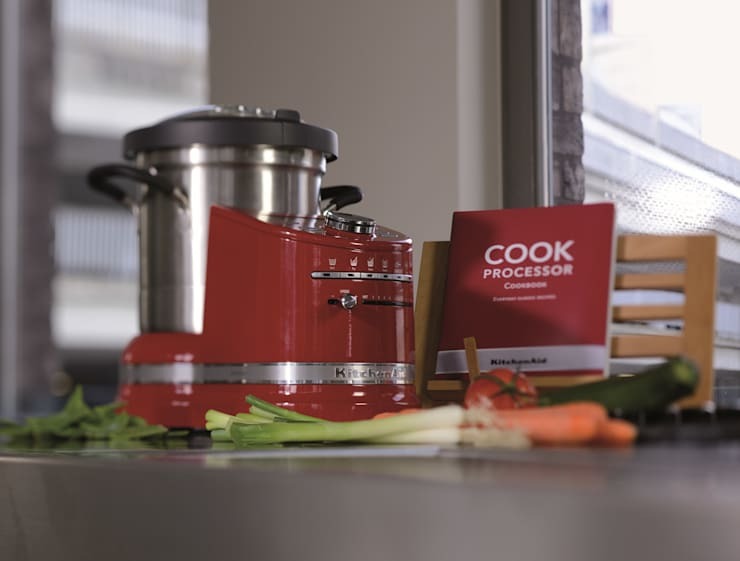 If we talk about a high-tech kitchen, our curiosity is on high alert. Images of these fancy kitchens always attract our attention and we end up dreaming of a day that we can have a kitchen just like, saying this is what I want! or Wow! These kitchens are always aesthetically appealing and impressive. 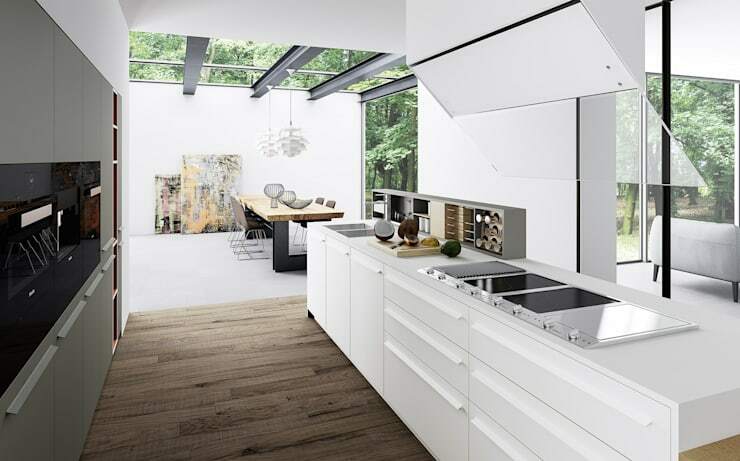 For many years the kitchen was a room that remained unchanged, but today we live the era of progress and technology, where designers, engineers and technicians are looking to improve every detail and every design, constantly advancing. These advancements are often things we couldn't even dream of—they are just too impressive! They leave us wondering how things could possibly improve more or how things could get better. But things can always get better, constantly perfected as science and technology play a role. For example, the world is learning to achieve better results without wasting too much energy—products are for more sustainable. Smarter design is the way to go. When it comes to the kitchen, we need those smart machines that leave us needing to do very little work. Practical and functional! The concept of the high-tech kitchen is beautiful, modern and practical, officially making technology our new best friend! And because we are also friends, we want to share with you the latest trends that relate to the concept of the forward-thinking kitchen. Enjoy and be inspired as your kitchen becomes more high-tech… and a friend of technology! There is always something to keep an eye on—that new object that has been made possible by modern, technological advances. Things we can't dream up! We know that high-tech can also make our lives much easier, much more practical and also safer. But security is a key point in these advances as they reduce home accidents. Smart stoves are a great example! Along with this, new technology makes everything far more discreet and far more beautiful within the kitchen space—neat, sustainable and sleek. Everything is in fact a fantasy and a real temptation for us customers. 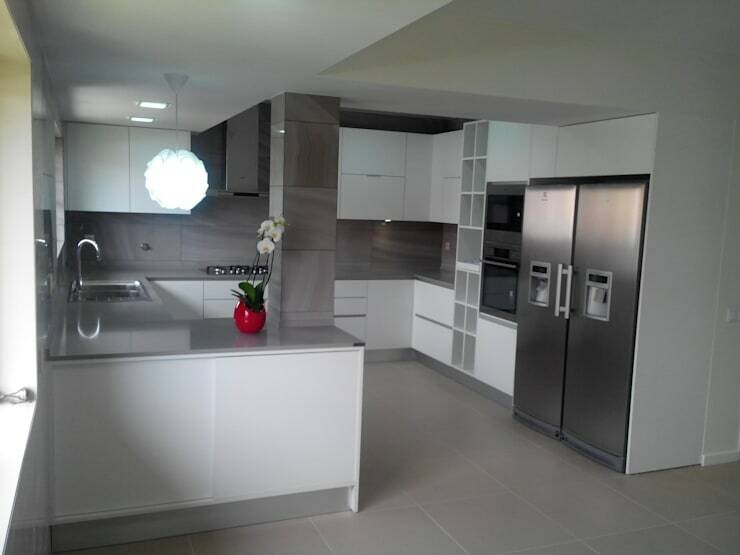 For example, who would want this kitchen by Meson's? A very famous element in a high-tech kitchen is without doubt an American fridge. 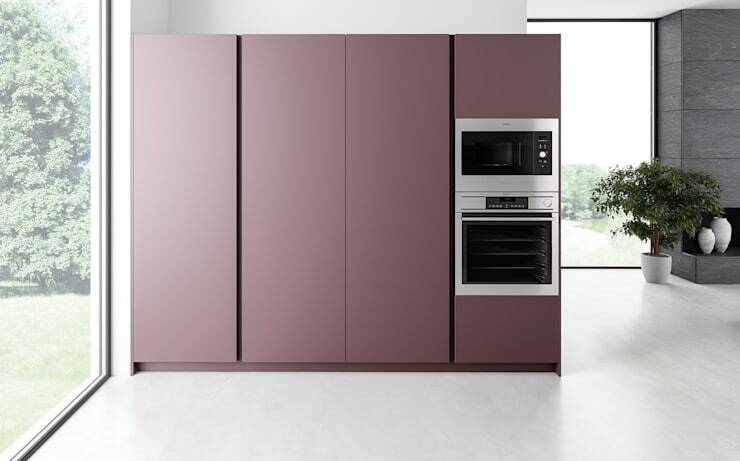 This fridge is two-fold, consisting of two vertical doors, commonly made of stainless steel. The part that makes us most envious is the fact that you can put away all of your frozen goods into one section, leaving so much space! This is ideal for large families who do a monthly shop. Each part of the fridge has its own unique function, with one-side commonly a refrigerator and the other side a freezer. The refrigerator side is usually the wider, bigger side. This refrigerator is an American dream, right? These refrigerators are also equipped with water and ice dispensers, located in the door of the fridge. This means that ice cubes and fresh water are always on stand-by. Everything that we need right at our fingertips! Some of the more modern fridges also have a television screen, which is ideal for the kitchen! This is because it doesn't take up too much extra space. This is pretty design meets top-class technology. The American fridge provides a unique design for your kitchen and is an attractive and modern option. Decorate your kitchen with this unique, modern technology! The utensils in the kitchen are incredibly important, especially those that are visible to guests visiting your house. Since the stone age, when everything was made with sticks and stones until the present day, where the machines almost do all of our work for us, utensils have evolved dramatically. They have impeccable, beautiful, modern and completely innovative designs these days. Electric mixers, magic wands and other fantastic technological-elements now do all of the mixing, grinding and baking for us, replaces all sorts of utensils such as wooden spoons and spatulas. No more tired arms or wasting time mixing! Remember what is was like to beat egg whites or cream manually? Phew! We get tired just thinking about it. There are other tools in the kitchen that have really brought beautiful and classic design to today's kitchen. 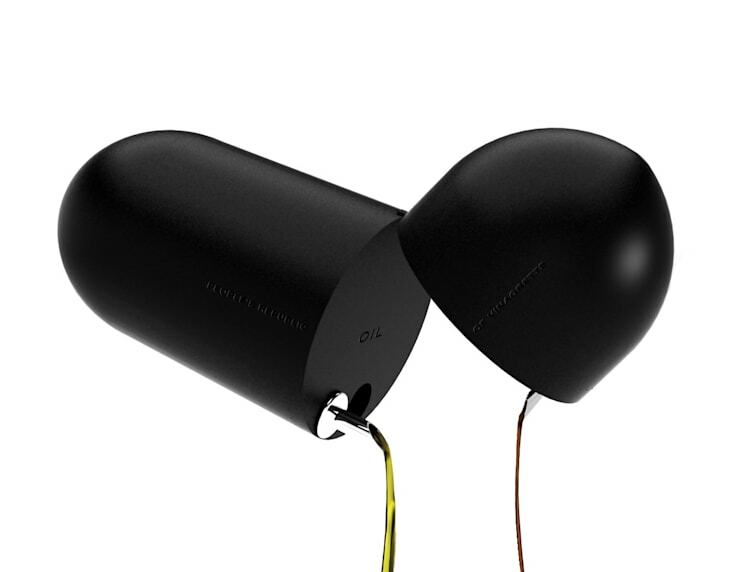 These are often practical and innovative, such as this olive oil and balsamic vinegar dispenser, by Joana Magalhães Francisco. Break it open like and egg and you get your oil and vinegar straight onto your plate. And now dinner is served. The microwave is the appliance which is most commonly used in the kitchen of our homes. In the old days, microwaves were expensive additions to the house and its function and capabilities were totally underestimated. Today, microwaves dominate the space. Microwaves are either brought separately and placed in the kitchen or they are built into the kitchen furniture, giving a high-tech look and feel to any kitchen environment, such as this one above. These microwaves are a true revelation, helping us a lot in the kitchen! We can heat a plate of food without having to dirty a pot or burn a pan. The food is warm within minutes. Some even have grill options—that's how technologically advanced they are. If we talk about technology and all its advances, then proper lighting has to be mentioned in this article. Lighting is essential, not only because it makes every element and detail of our kitchen visible but also because lighting can improve the look and feel of high-tech design. Lights themselves provide a more modern setting and an attractive aesthetic appeal. The designers of the house need to incorporate lighting into their strategy when it comes to the kitchen. A high-tech kitchen is a bright kitchen, with different types of lights that bring a beautiful element into the space. Look through this range of kitchen lighting. Yes there are robots, which are the machines that we use everyday in the kitchen, but they seem like something in the future. However more and more households are using technologically-advanced products, which take over the house. Programming, measuring, cooking and creating the perfect temperature are all controlled now by these machines. In the end, we are spared hours and hours, allowing us to do what we want to do without having to worry about the pots and the pants. Now we just need a robot that can put together the perfect recipe—but we will get there! For now, we already have so many high-tech products! So let's stay ahead of the latest technological trends! 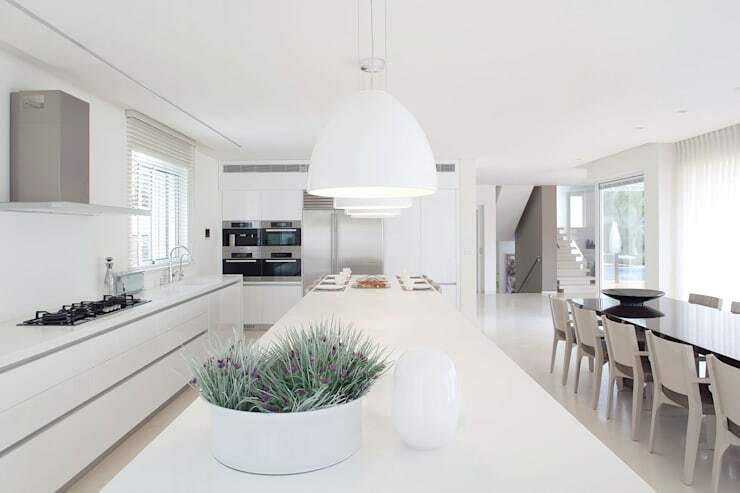 If you like modern kitchens, then you'll love: A Modern Dream Home with a Beautiful Perspective. What new technology would you like to invest in for your kitchen? What do you already own? Let us know!